1) A group has been together for at least two years. It’s really hard for guests to break into groups that have been together for longer than 24 months. Relationships have been formed and life has been shared. When a group approaches its second birthday, it’s time to consider starting a new group as different members approach new seasons of life. 2) A group doesn’t see a steady stream of guests. It’s true, groups “cool off” after a time and will often turn inward. Sunday mornings become “all about them,” not about people who don’t yet know Christ. But if you can recruit people to leave the group and start a new one, it’s almost a guarantee they will reach more people for Christ and demonstrate an excitement for Kingdom growth the mother group hasn’t known in years. Who knows, maybe that excitement will rub off and inspire the mother group to move to new heights of evangelism. 3) A group has ceased to grow. When a group no longer adds people to its ministry role, it’s time to start a new group. The group may have done a good job in the past of reaching new people, but over time the growth may have cooled off. It’s possible that the influx of newer group members has frustrated the charter members of the group, and therefore they are resistant to reaching any more new people. 4) A group fills their meeting space beyond 80% of capacity. The 80/20 rule is real, and it simply states that groups will struggle to grow beyond 80% of their meeting room’s capacity. When a group exceeds 80% of its seating capacity, the room is visually full to guests. A group can certainly exceed 80% of its seating capacity, but if this continues the attendance rate is likely to drop. People like elbow room, so think about square footage standards that recommend adults each have 15 square feet of space. A group that averages 15 adults needs at least 225 square feet of space. 5) The fall comes around. Most churches experience a boost in Bible study attendance every fall. It normally begins in August with the onset of school. People begin settling into routines again after a summer of rest and relaxation. 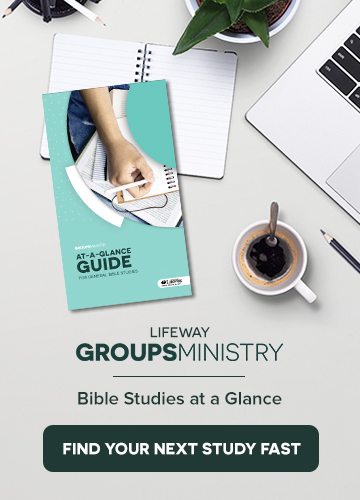 August/September is a great time to launch new groups. If a church was averaging 150 people in Sunday School and started one new group in its preschool, children, student, and adult ministries, it should grow by 40 people. Within one year, it will average 190 people (new groups tend to add 10 people on average). The hardest part is to be intentional every year and have a game plan to start new groups.